Black material is water- and stain-resistant. 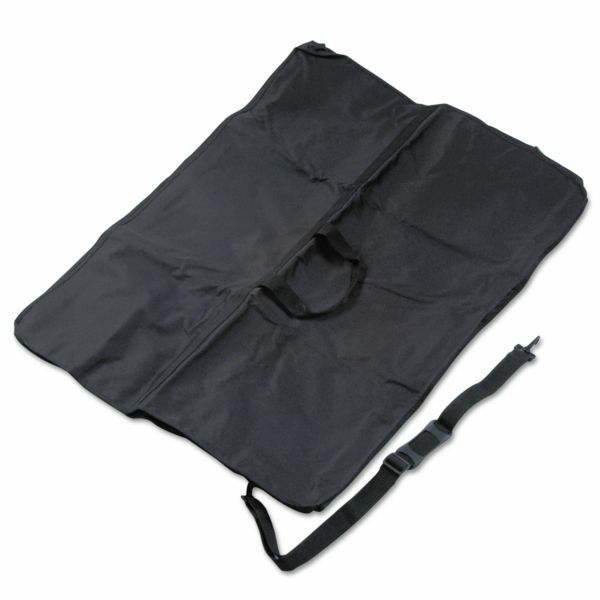 Features reinforced vinyl interior, adjustable shoulder strap and handle for easy transport. 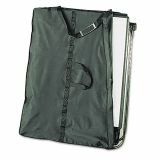 Quartet Presentation Easel Carrying Case, Ballistic Nylon, 32 x 42, Black - Durable black nylon carrying case securely and conveniently transports any easel up to 32" x 42". Ideal for Quartet&reg; Unimate&reg; (100TE) and DuraMax&reg; (200E) easels. Water- and stain-resistant. Features vinyl interior, adjustable shoulder strap and assist handle. Ideal for carrying Quartet Unimate® (100TE) and DuraMax® (200E) easels, sold separately.